Raelena "Jean" Decker, age 69 of Wellsville, KS passed away Tuesday, October 30, 2018 at Olathe Medical Center. Jean will be cremated and a memorial visitation will be held 1-3PM, Saturday, November 10, 2018 at Wilson's Funeral Home in Wellsville. Memorial contributions may be made to the Wellsville City Library in care of Wilson's, PO Box 486, Wellsville, KS 66092. Jean Decker was born November 21, 1948 in Sabetha, Kansas, the daughter of Raymond and Bonnie (Hards) Hossfeld. She grew up in Hiawatha and graduated from Hiawatha High School in 1966. On May 31, 1969 she married Stephen Decker in Hiawatha. They celebrated almost 50 years of marriage together before her passing. He survives at the home in Wellsville. Jean worked as a waitress while living in Emporia for 5 years before moving to Wellsville. 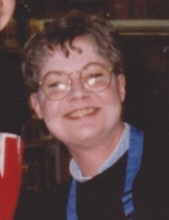 She worked at Crist's Grocery Store on Main Street for 15 years. She later attended Ottawa University and received a Bachelor's Degree in Education. She taught Special Education at Gardner's Wheatridge Elementary which she loved. She retired in 2013. Jean was a member of the American Legion Post #194. More than anything, she loved her grandsons and watching them play sports. Jean is survived by her husband, Steve of the home; her mother, Bonnie Hossfeld of Falls City, NE; her son, Thatcher Decker of Overbrook, KS; and her 2 grandsons, Maddox and Vaughn Decker. She is preceded in death by her father. To send flowers or a remembrance gift to the family of Jean Decker, please visit our Tribute Store. "Email Address" would like to share the life celebration of Jean Decker. Click on the "link" to go to share a favorite memory or leave a condolence message for the family.